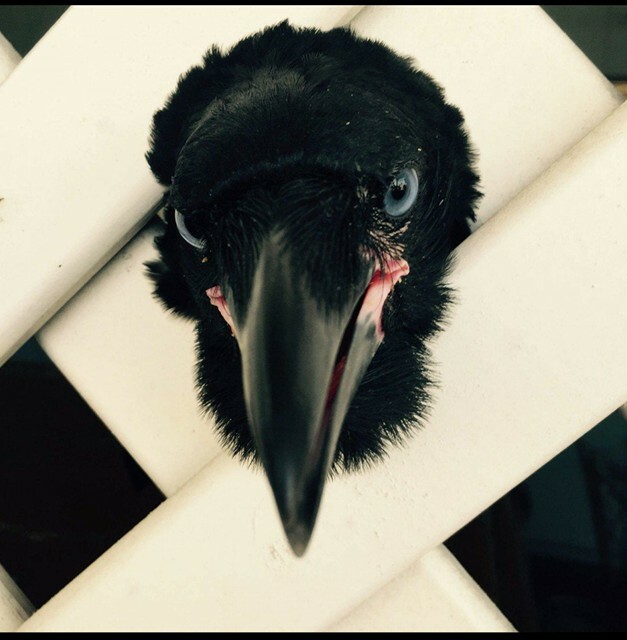 Clarence, the crow was found dead shortly after release. Along with Clarence, there were another 16 dead birds found in the same area within a day or two. The barn owl on the photo was one of them. It is a residential area, right in the city heart of Rockhampton. All birds were in good condition, no marks on them. They literally fell out of the tree head first and died within minutes. A local veterinarian performed a necropsy, but it was inconclusive. In order to find out exactly what killing healthy looking birds we need to do further testing. 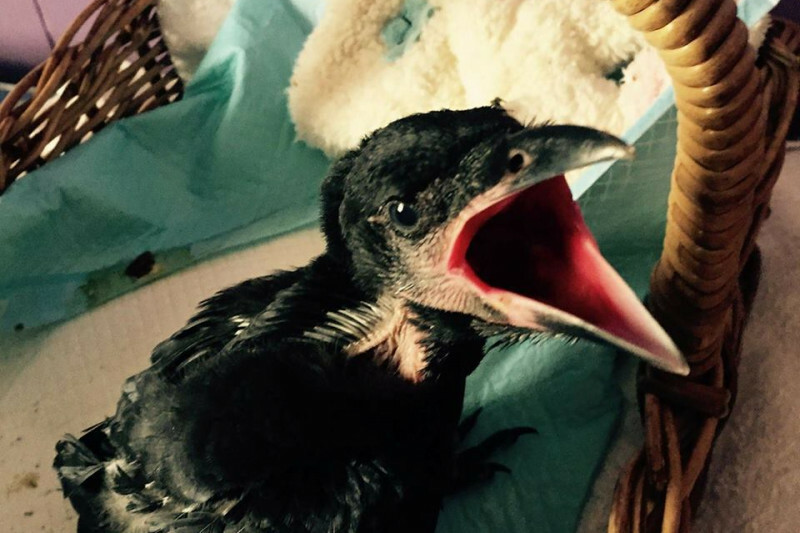 Clarence was an orphan young crow that was rescued by a member of a public and Lynda, the crow lady, took care of him for the next 18 month. That's how long crows stay with their parents. During that time Lynda was teaching him life skills as hunting for food, seeking shelter and he was able to communicate with the crows in the area. Birds are territorial and that's why Clarence was cared for in the area close to the place where he was found. Caring for wild bird required a lot of skills as well as time, effort and finance, of course. It is done voluntarily and no funding received from government or anywhere else. We do it to give animals, affected by human actions (deliberate or not) a second chance in life. As the bird ready for release, time and place carefully chosen to make sure best possible outcome. With Clarence it all run smoothly and he, along with his mate was ready to be soft released by Good Friday. At that stage nothing indicated trouble in the area. The crows were released and fitted in the local crow society nicely. But shortly after the release, Clarence failed to turn up for his meal and that's when Lynda went looking for him and found his dead body under the tree nearby. But it was not only his body that was found, 16 other dead birds were found in the 10 square meters under the poinciana tree. Six carcasses were removed by the resident the day before, his dog got unwell and had to be taken away and birds been dropping dead ever since. Lynda and local residents left along to watch birds dying, authorities doing nothing to find out what causing it. Please help us to get testing done to find out what causing it and how to prevent similar situations.